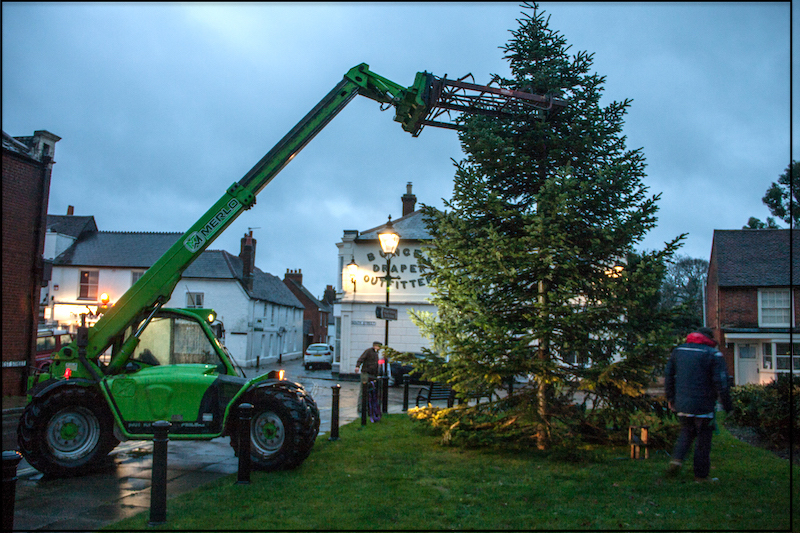 Early this morning a massive low-loader lorry from local firm, Chappell’s, delivered an enormous Christmas tree and, with the aid of a team of helpers, it was erected on the Green at the bottom of West Street. The tree was donated by village butchers, Hadlows, and the tree lights are courtesy of Freemantles. Heavy rain failed to halt the operation as the tree was manoeuvered into position. Later in the morning another party of villagers set to work sorting, preparing and distributing the trees destined to light up the whole village. From a yard in West Street people were able to select and collect their tree which had already been prepared to fit the external brackets. There were also a team decorating and erecting trees for those villagers unable to do it themselves. Over the next few days the village will be a blaze of light as we prepare for the Christmas festivities. An amazing example of community spirit!!! Newer PostPanto Time - Oh no its not!